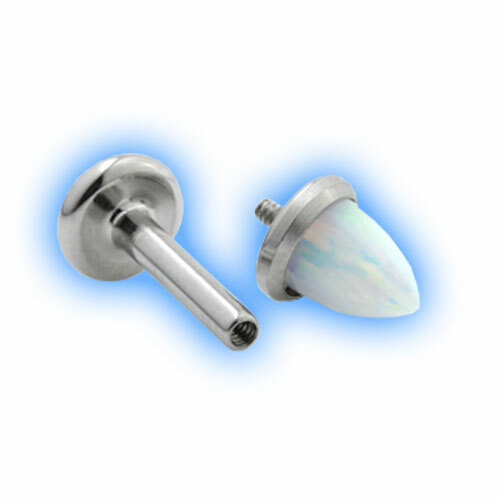 This Titanium labret stud looks stunning with an unusual Trinity Opal design, it is internally threaded (which means that the cone has a thread which is screwed into the hole in the labret). Please note - the thread measures 0.8mm so is not compatible with the 0.9mm internal jewellery. The stud is 1.2mm (16 gauge) in thickness and available in a choice of 6, 7, 8 or 10mm lengths, the cone is available in 3mm or 4mm. "Website was easy to use, goods arrived on time as described. Very happy."